Gottfried August Homilius (1714‐1785) was a favourite pupil of J S Bach, and was regarded as one of the best (if not the greatest) organist who ever lived. During his long professional life he held several important posts, his last 30 years as cantor of the Kreuzkirche in Dresden. 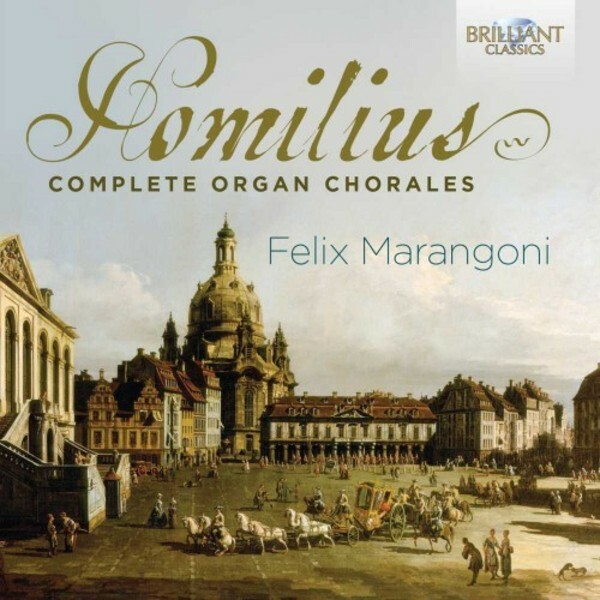 Homilius� Chorale Preludes are firmly rooted in the contrapuntal tradition of his great teacher J S Bach, with added elements of the Empfindsame Stil, dramatic expressions of emotion. They show incredible skill, master pieces in their genre. This is the first time the complete Organ Chorales have been recorded, several of which are not yet published. The works are played on a magnificent 2007 Zanin organ, built in the tradition of 18th century baroque style - the complete specifications of the organ are included in the booklet. Felix Marangoni is a specialist in 17th and 18th century keyboard music, a scholar and devoted musician, and winner of several important competitions, such as the Buxtehude Competition in 2007.